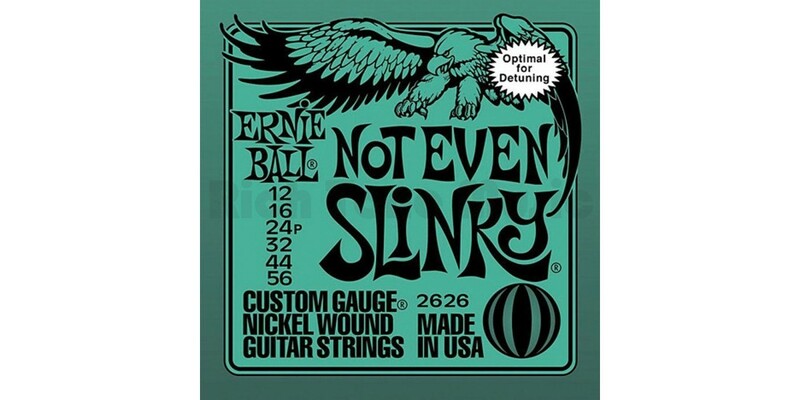 Ernie Ball Not Even Slinky electric guitar strings are seamless for those who like to detune their instrument to lower tuning combinations. 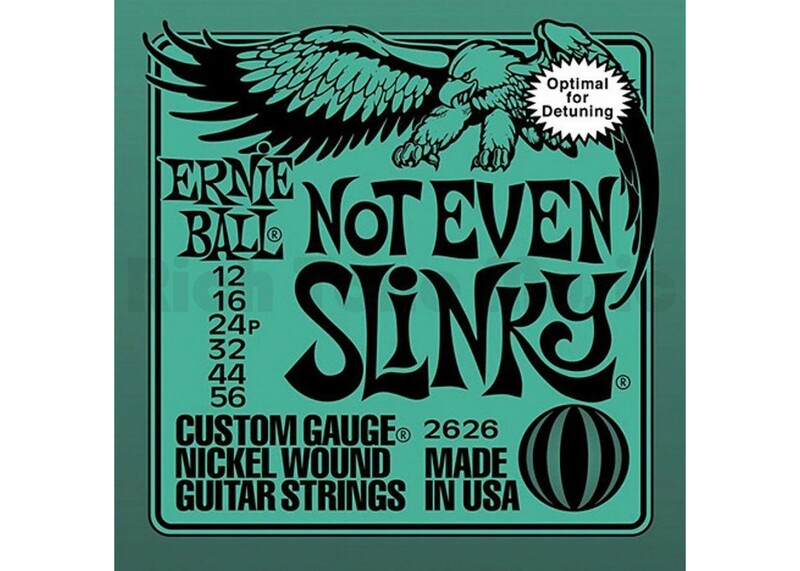 Metal fans all around the world have gravitated towards the Not Even Slinky set to give their guitar the optimal gauge combination for Drop D and Drop C tuning. The wound strings are made from nickel-plated, steel wire wrapped around a hex-shaped steel core wire. The plain strings are made of specially tempered, tin-plated, high-carbon steel, producing a well-balanced tone for your guitar.